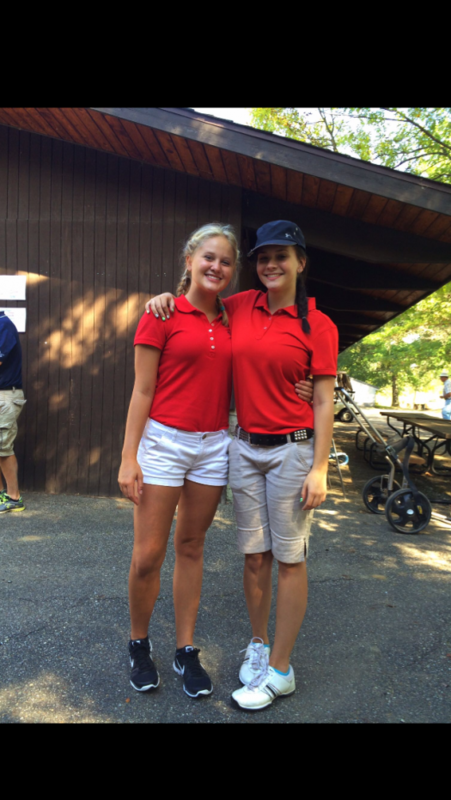 The Hanover-Horton girl’s golf team is really something special. They are dominating the conference and are having fun doing it. Their success has come from the chemistry that this team has. “I think we will win our conference and possibly even regional,” Miranda Gilbert, junior said. This team has most of the keys it needs to be very successful, but according to Miranda, to be successful they need to all get along and put their differences aside. The team has been shooting great this year so far. They’ve been keeping their drives straight down the fairway and shooting great around the greens. “Right now we are the best in the conference,” Kalyn Thompson, senior said. She insists that no team in the Cascades Conference can top Hanover, at the moment at least. There’s a trend in the mentality of this team. They all have strong faith in their team, and believe that they are the best in the area. During their last match they defeated East Jackson recently bettering them by just 4 shots. Kalyn Thompson, Jenna Maddex, Miranda Gilbert, and sophomore Kristen Thompson all shot under 50 while Talia Swartout hit a career low score of 51. They’re undefeated in their first 2 matches of the year. As long as this team can keep as mentally tough as they have been, they could go very far and be very successful.